City girl M.R. 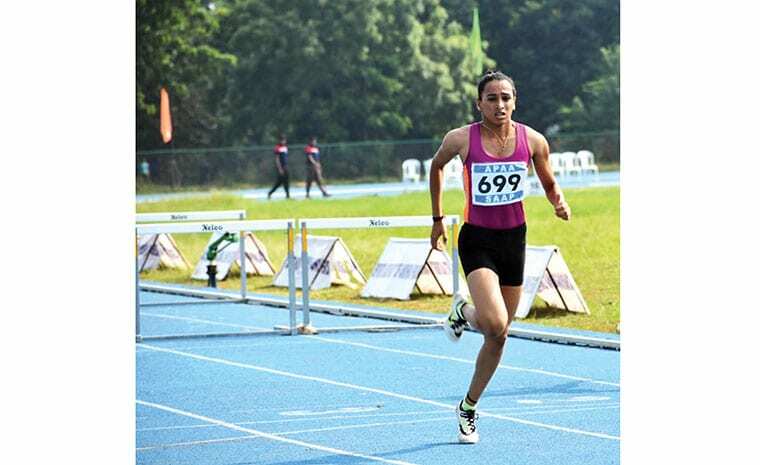 Dhanusha’s outstanding performance in Heptathlon, a contest made up of seven track and field combined events, has helped her shine in the Junior Division as National-level sportsperson. The women’s heptathlon event consists of 100-metre hurdles, high-jump, shot-put and 200-metre run on the first day; and the running long (broad) jump, javelin-throw, and 800-metre run on the second day. Dhanusha has participated in 18 National-level events. In the 2016-17 National-level Federation Cup held at Coimbatore, Dhanusha bagged a gold medal and was selected to the Indian camp. She had also participated in the Asian Games held at Japan in the month of June and was placed eighth. This apart, she took part in the Dasara Sports Meet recently and bagged the first place in heptathlon and secured second spot in Long-Jump. Heptathlon was included in Olympic Games in 1984 and one needs to prepare in all ways to contest in heptathlon as it includes seven sporting events. Dhanusha is the second daughter of Manju and Rukmini couple of K.R. Nagar. Manju is an autorickshaw driver. Dhanusha has the dream of representing India in the Olympic Games and is undergoing training at Sports Authority of India (SAI). Since 2013, Dhanusha has participated in more than 18 National-level Sports Meets held at various States. During 2013-14, Dhanusha bagged the Silver Medal at a sports meet in Hyderabad and a Silver medal at the Athletics Meet in Gujarat. In 2016-17, she bagged the Bronze medal at an event held in Pune. She bagged the Nandi Award given by Mysuru District Athletics Association for the year 2017-18. Dhanusha bagged the first place in the South Zone National-level Heptathlon and Relay Meet and third place in Long-Jump. 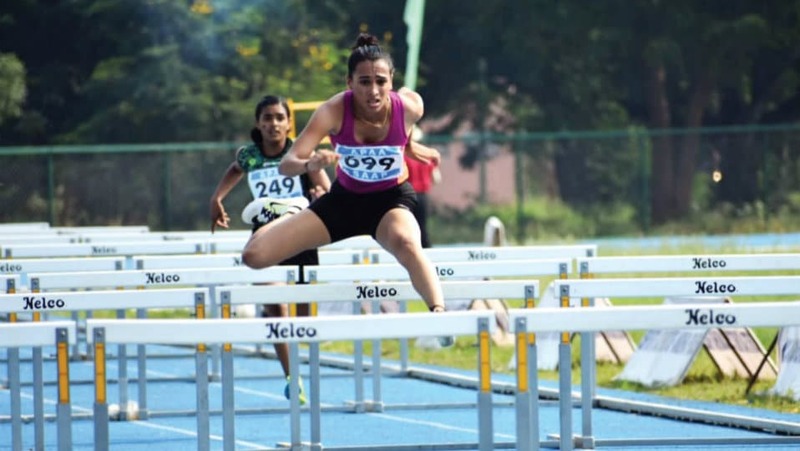 Dhanusha, who bagged the first place in heptathlon and Long-Jump at the Inter-University Sports Meet, is presently participating in the Junior National Athletics Meet being held at Ranchi.